Kefir cheese is similar to cream cheese in texture and flavor. It’s super easy to make, and will help put kefir that’s been accidentally overcultured to good use. My kids love to eat kefir cheese spread on tortillas, on squash bread, or mixed with honey to dip apples into. 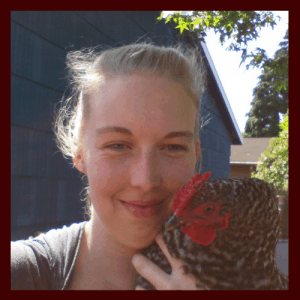 Why Should I Make Kefir? If you are trying to get more probiotics in your diet kefir is stronger than yogurt and SO MUCH EASIER to make. I used to throw out batches and batches of botched yogurt which is such a bummer after you spend all that time trying not to burn the milk. Kefir grains culture at room temperature. All you have to do is stir them into some fresh milk, and let them sit for about a day. You can get kefir grains from someone who has them, as they multiply when well cared for, or you can purchase them online. The hardest part is straining the grains out to start a new batch. When I made my first batch I accidentally threw out my grains! Now I have a strainer that’s similar to this one. I’m not a big fan of one use items, but this has been worth having around. Kefir grains can be used with cow milk, goat milk, and with a little extra care can even be used on coconut milk. I like our goat milk kefir because it is extra thick and delicious, almost like sour cream. I tend to make kefir out of grocery store milk because we save the goat milk for drinking straight. 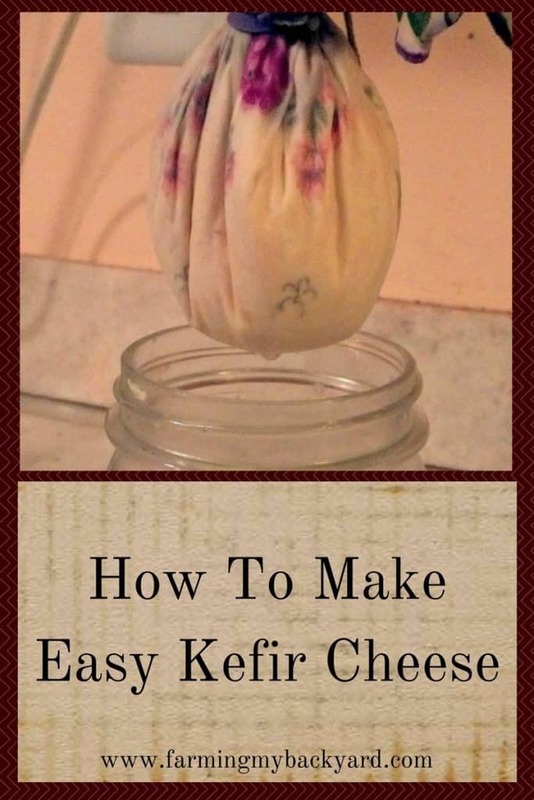 Once you start making kefir you’ll be able to use it in all kinds of yummy ways, including kefir cheese! Strain kefir grains out of finished kefir. Line a bowl with a clean cloth. Make sure the edges of the cloth are larger than the bowl. Pour kefir into the cloth in the bowl. Gather up the edges of the cloth and fasten together with a clip or rubber band. Let the whey drip out into the bowl. Scrape the kefir cheese out of the cloth and use it in some yummy recipe! The thickness of the kefir cheese is determined by how long you let it strain. I typically leave mine overnight because that gives a spreadable, yet moist cheese. If I want it more crumbly I leave it longer, and press the whey out with my hands. And that’s it! Making kefir cheese is super easy and a super yummy, healthy whole food. What’s your favorite way to use kefir? Hmmm, this might actually get me to start drinking milk again… and the bonus is that my husband likes kefir. I try not to drink milk unless it’s been cultured or comes from my goats, but I LOVE making smoothies with kefir.